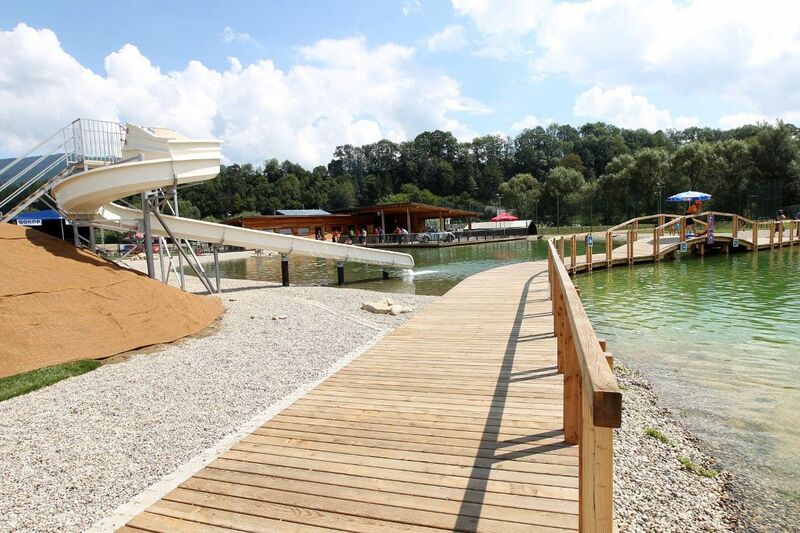 Hot, long summer and clear sunny days invite you to a refreshment in the Radlje Water Park! 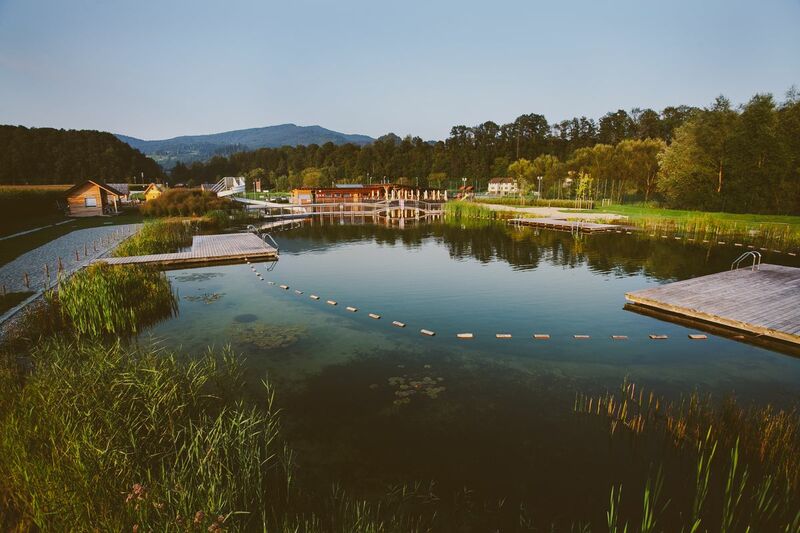 The refreshment offers a natural swimming lake, where natural neat organisms take care of the purity of water and its quality. Swim between the lounges, jump from the pier, or surrender to the sun's ray on the green beach. Hint to have good day: No one is too old to go down the slide. 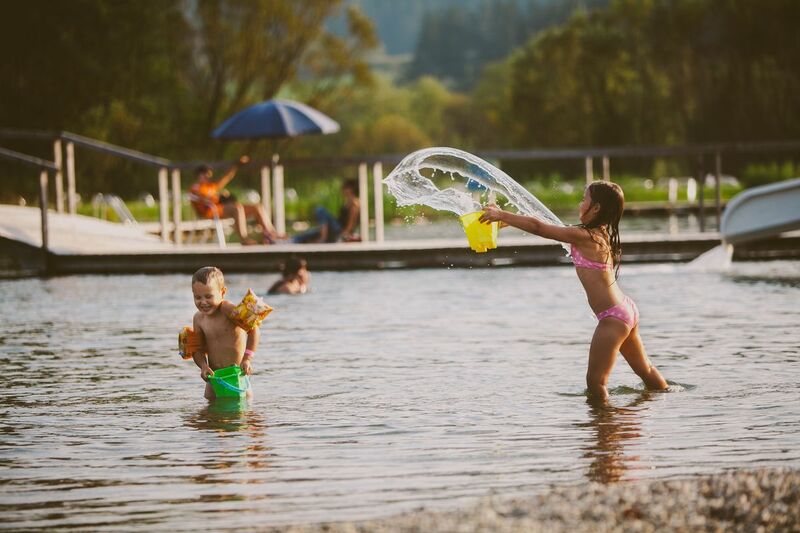 In the water park, you can have fun all day, splashing and jumping from the pier is welcome! 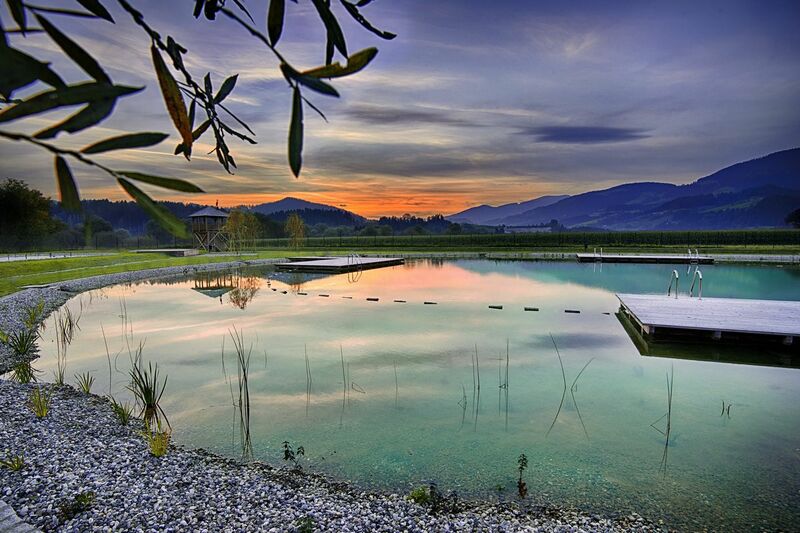 The swimming pool is suitable for swimmers, non-swimmers, small children ... for all who love spending time in nature! A restaurant at the Water Park is inviting you to enjoy and relax at a sunny terrace; they are offering a variety of food, drinks. Every day you will be surprised by the rich selection of various burgers and refreshing ice creams,...There is also a playground for the youngest, with slides. In the evenings, you can admire the magnificent sunset. Pets not allowed (sensitive biotope).